Liverpool manager Jürgen Klopp got his first win as Liverpool boss last night, and if his celebration of Nathaniel Clyne’s 17th minute winner was anything to go by there will be no hesitation in any Reds fans mind that Klopp is at Anfield to win following the 1-0 Capital One Cup Victory over fellow Premiership side Bournemouth. Klopp rested many of his first team regulars for the match with an eye on this weekend’s clash with Chelsea at Stamford Bridge and as well as the Klopp celebration fans got to see some dazzling football from youngsters Jordan Ibe and Joao Carlos Teixeira. 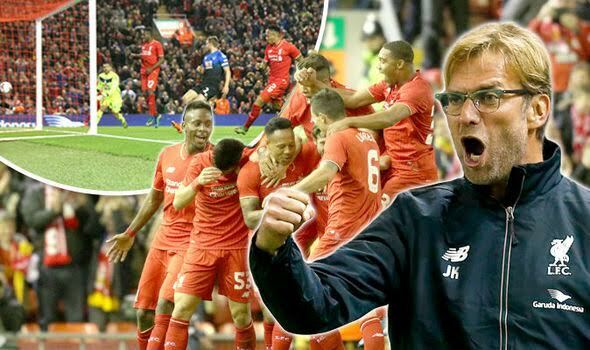 Check out Klopp’s goal celebration in the video below.